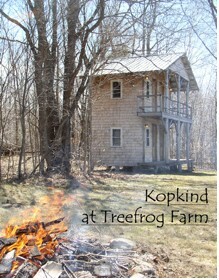 The Kopkind Institute and the Center for Independent Documentary will convene 10 filmmakers at Tree Frog Farm in Guilford Vermont this coming Sunday August 2nd. The public portion of the program, the Grasroots Film Festival will begin on Thursday August 6th. Kopkind/CID film camp is a week of “radical relaxation”- a chance to breathe deep, think deeper and dive into new ideas and the blue clear waters of Vermonts lakes and rivers. For more info on the camp, check out this recent article: Radical Relaxation: The Kopkind/CID Film Camp. Friday, Aug 7th, 7 PM at the Organ Barn, Treefrog Farm, Guilford, VT.
“Straightlaced” is directed by Academy Award‐winning filmmaker Debra Chasnoff, and is the latest documentary film production from GroundSpark’s highly acclaimed Respect For All Project. Straightlaced, which features unscripted high school youth from around the country speaking candidly about harmful pressures caused by rigid gender roles and homophobia is surprisingly uplifting and entertaining. From girls who dumb down so they don’t intimidate boys, to boys who are sexually active just to prove they aren’t gay, to non‐conforming teens who face relentless bullying, the students in Straightlaced show how gender expectations are having unhealthy and often dangerous impact on the lives of today’s teens. A Sneak preview screening with Vermont director Liz Canner of her new film – Friday, Aug 8th, 7 PM at the Organ Barn, Treefrog Farm, Guilford, VT. Thank you again for your support and we hope to see you this summer at one or all of our public events. We are pleased to announce a call to independent documentary filmmakers who would like to participate in a weeklong seminar and retreat in southern Vermont. It’s the best of times- it’s the worst of times. It’s certainly a time of profound change. Join us to brainstorm about new ways to think and operate in this new landscape and recharge your creative battery with some of Kopkind/CID’s special brand of “radical relaxation”! It is the summer of the BIG THINK and we aim to explore together not just how to survive as an independent filmmaker, but how to thrive. You can read more about the camp experience in a recent article that appeared in the last NAMAC newsletter ( HERE). Kopkind/CID retreat seminars are organized by Susi Walsh, Executive Director of CID and John Scagliotti, Emmy Award-winning documentary producer and the creator of the public television series, In the Life, now about to begin its 15th season of monthly hour-long programs on news and culture about the gay community. Also joining us will be Fred Simon. As an independent producer of documentaries for PBS, Simon’s films have won awards from the American Film Festival, the Athens Film Festival, and are currently in the permanent collection of the Museum of Modern Art. In addition, he is an Assistant Professor of film/video production at Clark University. Guest speakers will also join us during the week. Closer to the end of the Seminar Week, Kopkind will present its 4thAnnual Grassroots Film Festival in the Organ Barn (Aug 6-8 open to the public); the filmmaker(s) will also lead the next morning seminar. The costs for filmmakers participating for the week is $295 per person. The cost includes: a single Cabin room for 7 nights (shared bathroom facilities), clean linens and towels, continental breakfasts, buffet lunches, and sit-down family style dinners, afternoon excursions to swimming holes and country outings, pick-up from Bus or Train station in Brattleboro Vermont, and programmed Morning Seminars. There is wireless internet availability. Besides personal items (cool nights in Vermont) participants are asked to bring 20-minutes of their media on DVD or VHS for evening “film slams” in the Organ Barn with late night discussions (optional hot tub discussions) afterwards on the deck. Participants will be responsible for their travel to Treefrog Farm in Guilford or to a public transportation pick up spot in Brattleboro, Vermont. (once you are registered, more information will be emailed to you including directions) Note: while afternoon excursions are planned, you can use this time if you wish as ‘free time’ or as Kopkind calls it – radical relaxation. All registered participants are expected to participate in the organized seminars and evening “film slams” and film festival presentations. Applying for the retreat week is very easy. Just write a letter to Susi Walsh and John Scagliotti explaining where you are from, what media work you have done and how you could contribute to the theme of our seminars. Also describe briefly the 20-minute visual media you would be bringing to the “film slams.” Send the letter to John Scagliotti (stonewal@sover.net) . We expect to have more applicants than spaces so please respond as soon as possible. We’ll be putting the group together from your letters around May 30th, which is around the time the deposits are due. We do this so that you can make your summer plans. Registration and Non-refundable deposits ($50) are due by June 10th and full payment is due by July 11th. Deposit and payment checks should be made out to The Center for Independent Documentary and mailed to John Scagliotti, Administrator, Kopkind, 158 Kopkind Rd, Guilford, VT. 05301. Slots are limited, so we recommend an early registration and deposit. Kopkind and CID are able to offer this camp for filmmakers at such a reduced rate due to the generosity of their supporters. If you wdould like to help support filmmakers seminar, please contact us! To view some photos from previous camps click HERE. 2007: Nancy Kelly, Savanna Washington, Jonathan Skurnick, Karen Everett, Jim Wolpaw, Nancy Kates, Bennett Singer, Natalie Lardner, Carlyn Saltman and Tim McCarthy. 2006 : Joel Katz , Nancy Kates, Robbie Leppzer, Alexandra de Gonzalez, Emily Kunstler, Deb Ellis, Eli Moore, Jenifer Kaplan, Rebecca Snedeker and Savanna Washington. Please feel free to ask for more information. Questions about the seminars and retreat as well as the Grassroots Film Festival can be attained by emailing John Scagliotti at john@afterstonewall.com Also feel free to send this information to others who might want to participate. Thank you. The 2008 Kopkind/CID Filmmakers Retreat Seminars- Applications Are Now Being Accepted! Telling the Story: This is a unique opportunity to share a week of viewing and discussion with your peers on the style, content, and structure of your film. Humor, archival footage, point of view…all things story related are up for discussion. We are also interested in discussions around sensationalism, controversy, reenactments, stars! When do we go too far- or do we not go far enough in our documentary and non-fiction film work? Closer to the end of the Seminar Week, Kopkind will present its 2nd Annual Grassroots Film Festival in the Organ Barn (Aug 7-9 open to the public); the filmmaker(s) will also lead the next morning seminar. The costs for filmmakers participating for the week is $300 per person. Applying for the retreat week is very easy. Just write a letter to Susi Walsh and John Scagliotti explaining where you are from, what media work you have done and how you could contribute to the theme of our seminars. Also describe briefly the 20-minute visual media you would be bringing to the “film slams.” Send the letter to John Scagliotti (stonewal@sover.net) . We expect to have more applicants than spaces so please respond as soon as possible. We’ll be putting the group together from your letters around June 15th,around the time the deposits are due. Registration and Non-refundable deposits ($50) are due by June 20th and full payment is due by July 11th. Deposit and payment checks should be made out to The Center for Independent Documentary and mailed to John Scagliotti, Administrator, Kopkind, 158 Kopkind Rd, Guilford, VT. 05301. Slots are limited, so we recommend an early registration and deposit. What I did on my summer vacation…..
Driving home from Guilford Vermont yesterday, I could hardly believe that camp was over! It was a great week. We focused on creativity–and there was much of it in our campers this year! We would especially like to thank the Kopkind Center and all of our campers for making this a very special week. Watch this blog for information on you can apply to join us in the sumer of 2008! Nancy Kelly:Nancy Kelly wrote, produced and directed the PBS documentary short “Smitten” which won the Audience Award at the DC Independent Film Festival and shared the Audience Award at the Aspen Shortsfest. She also wrote, produced and directed “Downside UP”, which aired on the PBS Independent Lens series. She directed and produced the critically acclaimed dramatic feature film “Thousand Pieces of Gold”, which stars Rosalind Chao and Chris Cooper. Her short documentaries Cowgirls: Portraits of American Ranch Women, Sweeping Ocean Views and A Cowhand’s Song: Crisis on the Range won many awards. Savanna Washington: Savanna Washington has lived around the United States and around the world. She attended film school at the New York University (NYU) Tisch Film School in New York and City College in San Diego. She also trained at Berklee College of Music in Boston and at the Southern California Conservatory of Music. Savanna has lived in Boston, Detroit, San Diego, Los Angeles, New York, Geneva, Switzerland, Paris, France and Munich, Germany. She currently makes her home in New York. As a business woman, she began her own business management company doing bookkeeping, business management, and production accounting for small talent agencies and production companies in Boston and Los Angeles. In 2002-2003 Savanna produced and directed her first independent feature length film: “Angels With An Attitude,” which was picked up by Lucine Entertainment Distribution in Los Angeles. Savanna is currently shopping a television pilot based in New Orleans. Jonathan Skurnick: Jonathan Skurnik is a documentary producer, director and cinematographer and a narrative film writer and director. His films have been broadcast on PBS, Satellite and Cable stations and European television. They have been screened at the Museum of Modern Art, Lincoln Center, art galleries in New York City and Martha’s Vineyard, and at over thirty film festivals throughout the world. He has won the Harry Chapin Media Award for films about poverty and Best Documentary Award at the Urban TV film festival in Madrid. Jonathan has worked in Europe, Asia, the Middle East and South and North America. He has raised over $400,000 from ITVS, the MacArthur Foundation, the Paul Robeson Fund and many other foundations and private donors. He has sold over $60,000 worth of his films to Universities and Non-Profits and serves on the board of New Day Films, one of the oldest and most successful educational film distribution companies in the US, with annual sales of over $900,000. Jonathan has led workshops and master classes in theory and production for filmmakers in the US and China. He has written and directed two narrative films that are doing the festival circuit. Jonathan recently moved to Los Angeles where he plans to write and direct for television and movies while he continues to direct and shoot independent documentaries. Karen Everett: Karen Everett is an independent filmmaker living in San Francisco. Her award-winning documentaries and personal film memoirs have played in festivals worldwide, aired on television, and are distributed to the educational and home video markets. She is currently directing a personal documentary, Women in Love, the intimate story of seven women navigating their love lives. Her award winning films include “I Shall Not Be Removed:The Life of Marlon Riggs”, “My Femme Divine”, and “Sweet Boy”. Everett teaches at the Graduate School of Journalism at UC Berkeley, where she received her Masters degree in Journalism in 1991. A Brown University graduate, Wolpaw has worked in independent film for 20 years. His films include the Academy Award-nominated documentary “Keats and His Nightingale: A Blind Date“; “Loaded Gun:Life, and Death, and Dickinson”; C”obra Snake for a Necktie“, a portrait of Bo Diddley which aired on Showtime; and the feature comedy “Complex World”. He has freelanced as a writer, film editor, post-production supervisor and creative consultant on numerous documentary projects, and for the past six years has taught film production and screenwriting at Emerson College. His films have won awards at more than a dozen film festivals worldwide and his honors include a Cine Golden Eagle. Nancy Kates is the director of the award-winning documentaries, “Brother Outsider: The Life of Bayard Rustin” and “Their Own Vietnam,” a portrait of American women who served in Vietnam. She also served as associate producer of the Discovery Channel’s “Mystery of the Last Tzar” and as producer of the PBS series, “Computer Chronicles.” She is a graduate of the Stanford University documentary program and resides in Berkeley, CA. Bennett Singer, a New York-based filmmaker and book editor, has served as producer or associate producer of a number of acclaimed PBS series, including “Eyes On The Prize II, With God On Our Side,” and “The Question of Equality.” Along with Nancy Kates, he also produced “Brother Outsider: The Life of Bayard Rustin”. He is executive editor of TIME Magazine’s education program; editor of “42 Up,” the companion book to Michael Apted’s famed documentary series; and co-author of “The Student Body,” a novel of suspense published by Random House. Natalie Lardner was a longtime staff editor at CBS News, working in Europe, Asia, Africa and the Mideast, and in the CBS studios on West 57th Street, with Charles Kuralt, Walter Cronkite, Dan Rather, and Mike Wallace, among others. Her documentary credits include PBS; Great American Dream Machine, Gimme Shelter, and Discovery with Walter Cronkite, etc. She cut her teeth with some of the pioneers of cinema verite, including the Maysles Brothers, Bob Drew Associates, and Ted Steeg. As an editor and sound recordist, she worked on the feature films The Sun and the Moon, Belizaire the Cajun, and John Sayles; The Brother From Another Planet. Her multifaceted career also includes work on the Bruce Springsteen music video; “I’m on Fire“,dance pieces for the Joffrey II Ballet, and, with Garius Hill, a series of works on contemporary issues, including a companion video for the book ;Inequality Matters; featuring Bill Moyers and Barbara Ehrenreich. She has worked as a professional translator and interpreter for Lincoln Center, MOMA, Opera North, and the New Yorker Magazine. Carlyn has a Master’s Degree in Documentary Filmmaking from the prestigious National Film and Television School in London, England, and a BA in history from Mount Holyoke College. While on staff at Johns Hopkins University’s School of Public Health, she produced videos with health messages for African audiences in collaboration with local specialists. Over the years since she filmed her first cultural documentaries in Africa in 1982, Carlyn has refined the art and skills required for working closely with video technology, language, and that place in the heart where memories, feelings, and personal values intersect. In addition to other honors, two of her films are included in the Smithsonian Institution’s collection. Tim McCarthy At 17, Tim joined the Army as a nuclear missile technician, which paid for his undergraduate studies at UMass/Boston in philosophy and psychology. Tim purchased his first microcomputer in 1981 just as he was matriculating at American University’s Computer Management Graduate School. His concentration on information management systems using the new microcomputers for applications as diverse as a Physical Therapy accounting system and a Navy Research and Development accounting system to a system for Footwear Manufactures and a racehorse betting system led Tim to success in the computer world. After creating his own companies he moved into system designs and sales. However, in March of 1988, McCarthy tested + for HIV and believed he had a few months to live. Since then, McCarthy has traveled the world with his video camera in search of Lesbian, Gay, Bi and Transgender (GLBT) Culture. Tim does this as a medicine for himself and as a gift for his sisters and brothers 100 years from now. He has recorded thousands of hours of GLBT events and people around the world, over 87 countries. His travels have included being with Congressman Barney Frank in Russia in 1994, going to Africa in search of HIV’s homeland in 1999 and planting the Gay Flag in Antarctica. Tim is also the first reporter credentialed by the White House for Gay television, a position he held with Gay Cable Network from 1993 thru 1999. Tim’s latest endeavor is http://www.LIPStreams.com ; a partnership with John Scagliotti, to create gay content for the Internet and TV. The Kopkind/CID Filmmakers Retreat Seminar 2007- Call for filmmakers! We are pleased to announce a call to independent documentary filmmakers who would like to participate in a weeklong retreat and seminar in southern Vermont. The Kopkind/CID Filmmakers Retreat Seminars will be held Sunday, July 28th to Sunday, August 5th . (Pictures from the 2006 retreat are in the slideshow above). Thinking Creatively about Creativity: For most artists, creativity emerges and disappears mysteriously. During this week, you’ll be encouraged to reflect on where your creativity comes from, how to summon it, and how to maintain its presence. We’ll also reflect on related themes specific to independent filmmaking – e.g., how to maintain creative enthusiasm for your project despite the need to fundraise for years and take care of the “business” of filmmaking. The mentors at present include Susi Walsh, Executive Director of CID and John Scagliotti, Emmy Award-winning documentary producer and the creator of the public television series, In the Life, now about to begin its 15th season of monthly hour-long programs on news and culture about the gay community. Also joining us will be Fred Simon. As an independent producer of documentaries for PBS, Simon’s films have won awards from the American Film Festival, the Athens Film Festival, and are currently in the permanent collection of the Museum of Modern Art. In addition, he is an Assistant Professor of film/video production at Clark University. Closer to the end of the Seminar Week, Kopkind will present its 2nd Annual Grassroots Film Festival in the Organ Barn (Aug 2-5 open to the public); the filmmaker(s) will also lead the next morning seminar. The costs for filmmakers participating for the week [the price has been dramatically reduced with extra support for the week from Kopkind contributors and CID foundation support] is just $300/person for 7 nights. The cost includes: a single Cabin room (shared bathroom facilities), clean linens and towels, continental breakfasts, buffet lunches, and sit-down family style dinners, afternoon excursions to swimming holes and country outings, pick-up from Bus or Train station in Brattleboro Vermont, and programmed Morning Seminars. There is wireless internet availability. Besides personal items (cool nights in Vermont) participants are asked to bring 20-minutes of their media on DVD or VHS for evening “film slams” in the Organ Barn with late night discussions (optional hot tub discussions) afterwards on the deck. Participants will be responsible for their travel to Treefrog Farm in Guilford or to a public transportation pick up spot in Brattleboro, Vermont. (once you are registered, more information will be emailed to you including directions) Note: while afternoon excursions are planned, you can use this time if you wish as ‘free time’ or as Kopkind calls it – radical relaxation. All registered participants are expected to participate in the organized seminars and evening “film slams” and film festival presentations. Applying for the retreat week is very easy. Just write a letter to Susi Walsh and John Scagliotti explaining where you are from, what media work you have done and how you could contribute to the theme of our seminars. Also describe briefly the 20-minute visual media you would be bringing to the “film slams.” Send the letter to John Scagliotti (john@afterstonewall.com ) We expect to have more applicants than spaces so our decision will way heavily towards fashioning a group that has an appreciation to multi-culturalism and diversity. We’ll be putting the group together from your letters around June 15th, which is around the time the deposits are due. Last years CID/Kopkind retreat was attended by Joel Katz , Nancy Kates, Robbie Leppzer, Alexandra de Gonzalez, Emily Kunstler, Deb Ellis, Eli Moore, Jenifer Kaplan, Th/CiRebecca Snedeker and Savanna Washington. The pictures fromlast years camp are in the slideshow above.